Edmonton is the capital of Alberta, and with United Airlines® great flight deals, offers endless options for adventure. The city is known for its festivals, like the Works Art and Design Festival, the Edmonton International Fringe Theatre Festival and the Edmonton Folk Music Festival. Edmonton is also home to the West Edmonton Mall, which is the largest shopping mall in all of North America. This city has plenty to offer its visitors, with varying activities and attractions. Edmonton also has the largest urban parkland in North America, containing over 22 parks with golf courses and trails fit for hiking, biking, and more. Experience one of the world's largest entertainment and shopping centers and interact and swim with friendly sea lions at Sea Lions' Rock. 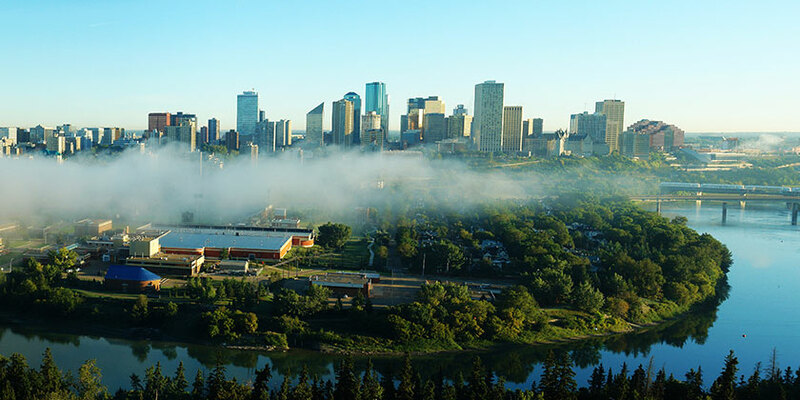 Resort info: Smoke Free Downtown Edmonton Hotel's Location is ideal and offers unparalleled service and amenities for your visit to Edmonton, Alberta. Resort info: This hotel is near West Edmonton Mall, Edmonton City Centre, Fort Edmonton Park, Edmonton Valley Zoo, Muttart Conservatory and many local restaurants. Resort info: This hotel is centrally located to many area attractions, including the largest mall in the world, and is only 5 minutes from downtown. Resort info: Comfortable accommodations paired with the excitement of the city just outside this premium Edmonton hotel create an unforgettable vacation.